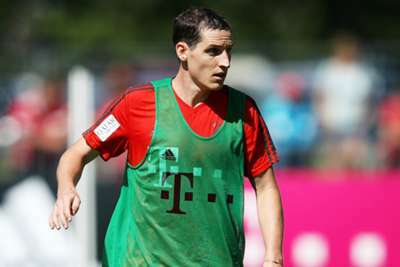 Bundesliga rivals RB Leipzig and Schalke have both rubbished reports linking them with Bayern Munich midfielder Sebastian Rudy. The Germany international has become the subject of transfer speculation after just one season with the German champions in which he made 16 Bundesliga starts. His opportunities seem set to diminish further following Bayern's signing of Leon Goretzka from Schalke, who are rumoured to be interested in taking Rudy in the opposite direction. Schalke looked to have moved to the front of the queue when reports emerged claiming head coach Domenico Tedesco had met with the 28-year-old former Hoffenheim man. Tedesco, speaking at a media conference on Wednesday, declined to comment on the nature of his recent visit to Munich, but Schalke sporting director Christian Heidel claimed no deal had been discussed. "There hasn't been any contact with Bayern Munich about [Rudy]," Heidel told reporters. "Three or four months ago I was with Hasan Salihamidzic at a manager's meeting. That's when Rudy's name was mentioned. There has been nothing since then." Claims of similar interest from Leipzig were even more vociferously denied by Ralf Rangnick. The sporting director turned head coach slammed local media reports of a contract having been agreed as the "mother of all fake news". "How you can put that out it is remarkable," he said. "I thought it must be April Fool's Day when that was announced." Rudy began his professional career with Stuttgart and was part of the Germany squad that flopped at the World Cup.